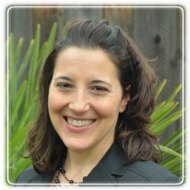 Pleasanton Therapist: Mina Skoutelakis - Therapist 94566. Send A Message To Mina. Are you ready to let go of past losses and difficult memories that are getting in the way of you feeling good about yourself and your future? Are you wanting to use these difficulties to move you upwards to the next phase in your life? Do you feel ready to do the work it takes to release the past and create a positive, exciting new tomorrow? My work with clients is focused on resolving painful events of the past that have created low self-esteem and difficulties being successful in relationships. My practice is focused on treating anxiety, panic, phobias and other anxiety-related issues. I use two therapeutic techniques which are EMDR (Eye Movement Desensitization and Reprocessing) and EFT (Emotional Freedom Technique). Both are highly researched forms of treatment that are proven to accelerate healing of past and current issues that get in the way of living a fulfilling life. Clients are often able to resolve painful events and losses so they can find relief from anxiety and fears. Guilt, responsibility, fear, and regret can be replaced with peace and a sense of "I did the best I could", "I am okay as I am", or "I am safe now". I graduated with a Master of Science degree in Psychology from Cal Poly State University in San Luis Obispo in 1999. I am licensed by the State of California as a Marriage and Family Therapist. I am a member in good standing with the California Association of Marriage and Family Therapists and EMDRIA (EMDR International Association). Since 1997, I have worked in various public and private settings providing psychotherapy for children, adults, and families. I have worked in the school systems, County Mental Health, private practice, and as a clinician with Kaiser Permanente Mental Health Departments in the Bay Area. My office is located in downtown Pleasanton. I offer mostly morning and daytime appointments in a confidential setting. I am happy to see how I might be able to help you reach find a sense of peace, purpose, and joy in your life and relationships. Please visit my website at www.stoneridgecounselingservices.com to schedule your complimentary 15 minute consultation. I look forward to hearing from you!